Home / Jefferson Blvd. | Hispanic Businesses Revitalize a Neighborhood's Main Street , US / Festival Furniture, 101 E Jefferson Blvd. Object name: Festival Furniture, 101 E Jefferson Blvd. 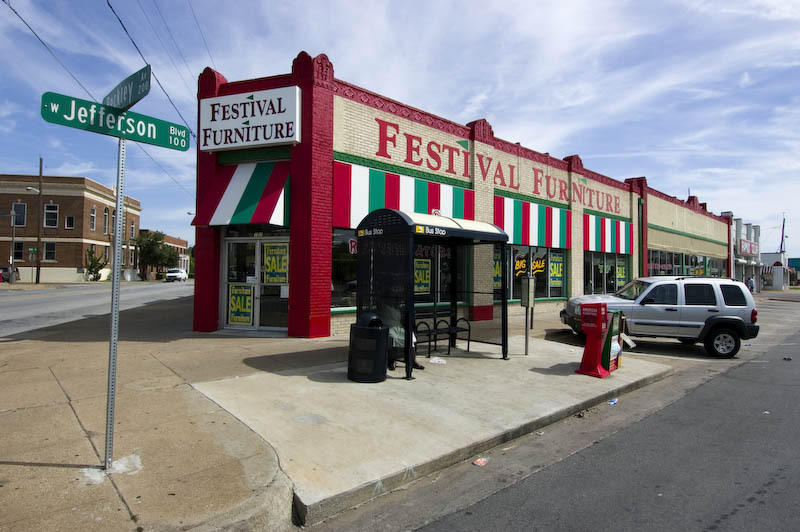 Caption: Festival Furniture, 101 E Jefferson Blvd. They may be an Oak Cliff business, but after 14 years they draw customers citywide. Headline: Festival Furniture, 101 E Jefferson Blvd.